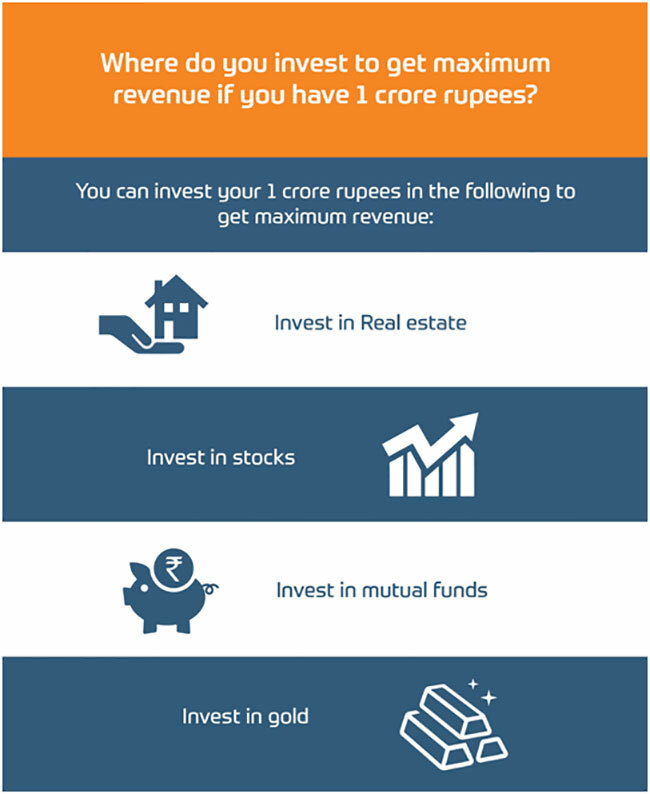 Where do you invest to get maximum revenue if you have 1 crore rupees? If you have a big sum of 1 crore rupees with you, try to invest it in good ways to generate more wealth out of it. Like it is said money makes money with an investment. One must look up to all the available option to enhance the wealth. Sometimes you have a big amount of money with you, and it is very natural that if you don’t put it to good use it will be simply spent off leaving you with nothing again. If you have a big sum of 1 crore rupees with you, try to invest it in good ways to generate more wealth out of it. Like it is said money makes money with an investment. One must look up to all the available option to enhance the wealth. Though there are several options available in the market, few of them have high-risk quotients while others might not have a risk as such. It is better to analyze all the options and invest diversely to get a maximum revenue generated with it. Invest in real estate: Invest in real estate can be a very good option as you have a big amount which can easily be used. Try to invest in upcoming cities or what we also called as tier two cities such as Vadodara, Surat, Amravati, Indore, Bhopal, Coimbatore, etc. But out 2-3 flats in decent localities with an average rate of 20 lakhs. The remaining money you can invest elsewhere if you don’t wish to invest all the amount into the real estate. Now that the government is also taking up the charge to develop these tier two cities, the real estate of these has really heated up. In just a matter of few years, you can possess the assets of a much higher value than you have bought off. Moreover, to add to your revenue you can rent these out and earn a stable income every month without a risk. With this, you will not only have the possession of a property which has its value increasing each day but you will also have a stable risk free income in the form of rent each month. You can also invest in lands or plots, hold them for a few years and then sell it off and get your share of revenue. Real estate is quite beneficial if you have a large amount of money to be invested. Invest in stocks: If you can bear the risk, invest in stocks for a better revenue. But for this, you need to have a sound and updated knowledge of the stock market. Invest in a diverse portfolio to disperse the risk at the same time even if the market goes down for one industry you still have others to save you up. Long-term investments made in stocks with proper strategy yields higher returns. You can earn a good amount even if you decide to invest only a part of your amount. But the only drawback, in this case, is you should have some risk appetite. This is not a risk-free income. Invest in Mutual Funds: Investing in mutual funds will not only help you with the revenue generation but also in managing the taxes. It is also less risky than the investment in the stocks directly. 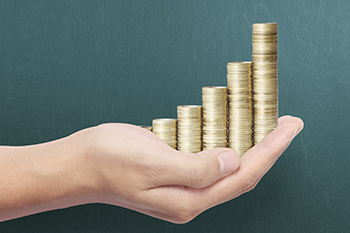 With a good fund manager and a diverse portfolio, you can have a good revenue generation. Invest in Gold: Gold is a good form of investment. To invest in gold you need not possess the gold in physical form. You can invest in gold with ETFs (Exchange Traded Funds). ETFs are like mutual funds but they invest only in gold. With the ever-increasing value of the yellow metal, it is a good source of revenue. Although the returns are not as high as that of stocks still you have a very low-risk quotient while you invest in gold. If you have 1 crore rupees and still thinking how to invest it to get higher returns look for the above options. These would not only help you with the revenue generation but will also help to accumulate wealth. So Happy Investing!